Internal auditing simplified and tailored to your own personal needs. 1. New to Internal Auditing? Start here. This course will guide you from the begining to fully auditing your QMS. 2. Are you an experienced auditor and need to learn how to audit to AS9100 Rev D? We've designed this course to rapidly catch you up with the changes and know how to audit to the new standard. Learn how to take the cumbersome process of auditing and trim it down into a manageable, approachable process. We've broken down each section into bite-sized chunks allowing you to work through each lesson and learn these methods both quickly and easily. Discover what's new in this brand new revision of ISO 9001. Learn how to implement those changes within your organization. We've broken the code on Corrective Action. Our approach is simple but the results are powerful. A practical approach to problem solving. This course covers aerospace standard AS9110 titled Quality Management Systems - Requirements for Aviation Maintenance Organizations. It helps you determine the applicability of AS9110 to your organization. It presents an improvement-based quality system development and implementation plan. The course covers all of the standard requirements in detail, and how you should approach meeting those requirements to both comply with the standard and improve your organization. This course covers aerospace standard AS9100 titled Quality Management Systems - Requirements for Aviation, Space and Defense Organizations. 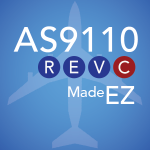 In today's world, if an aviation, space or defense supplier is not certified or in the process of becoming certified to AS9100:Rev C, they are in trouble. AS9100 certification is becoming mandatory for any manufacturer of aviation, space or defense products. Learn why sustainment is the most vital and profitable aspect of any management system. Discover how you can get real, long-lasting value out of your quality management system long after it is implemented. Learn to proactively identify, assess, and help control potential problems before they occur. 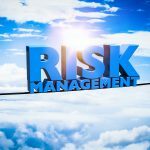 This dynamic course will show you how to set up a system that meets the 7.1.2 requirement for Risk Management.